For the first time in Moldova, aggressive communication in electoral campaigns has become a topic of public debate. 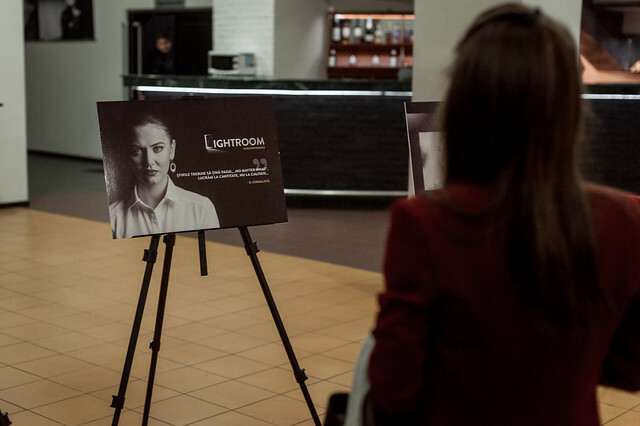 “The Lightroom (un)conference: aggression and ethics in electoral campaigns” is an event conducted on 28 November at the “Eugene Ionesco” Theatre, that brought together hundreds of people who discussed psychological violence during elections. Five speakers, public persons from the country and from abroad, assessed the elections conducted so far in the Republic of Moldova, analyzing aggressive communication. At the same time, they depicted the situation on the eve of parliamentary elections of February 2019. “Elections should not represent a war between people who think differently. These are competitions where the best wins after a campaign that promotes values and is conducted with common sense and ethics. An electoral campaign without aggression takes place when mass-media and civil society react promptly to the situations of violation of ethical and conduct norms and do not promote inappropriate behavior,” said Alina Russu, Head of the Central Electoral Commission. The participants at the event discussed how to stop aggressive communication in election campaigns and what can any of us can do to have a decent and fair electoral campaign. The “Lightroom (un)conference: aggression and ethics in electoral campaigns” has brought together experts, journalists, electoral officials, politicians, representatives of civil society and all those interested in the subject. At the event a video spot was showed. The clip has some characters: an ideologist, a woman candidate, a troll, a woman journalist and a citizen. At the end, the audience was invited to opt for one out of three slogans. The selected message will be announced on the 29th of November on the event’s Facebook page. The final video will be shared via social media networks. The “Lightroom (un)conference: aggression and ethics in electoral campaigns” takes place under the Project “Enhancing democracy in Moldova through inclusive and transparent elections”, implemented by the UNDP Moldova with financial support of the United States Agency for International Development, the Embassy of the United Kingdom in Chisinau through the Good Governance Fund and Embassy of The Netherlands within Matra Programme. NOTE FOR EDITORS: Psychological violence during elections represents a growing threat to the democratic processes both in the Republic of Moldova as well as in the whole world. This might take different forms: from verbal harassment and aggression generated by electoral preferences and opinions, to public destruction of someone or intimidation in exercising electoral rights. In most cases, the attacked parties are the electoral officials, candidates and especially, women candidates, relatives of persons who stand for elections, supporters of a certain candidate, etc. Psychological violence is shown in the daily communication between people, in social-media, mass-media and online media.